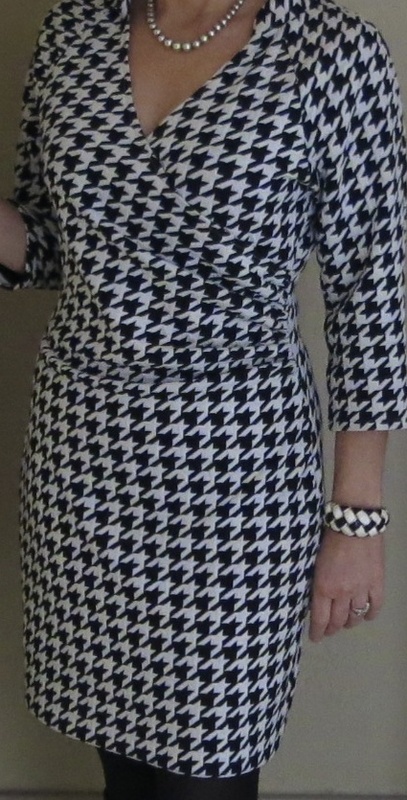 I thought I owned one of everything in black and white houndstooth, and then I saw this sweater-knit/jersey on the Mood Fabrics website. I realized I owned nothing in a houndstooth jersey, and remedied the void by placing a quick order on the Mood website (see lots of great sweater knits from Mood HERE). 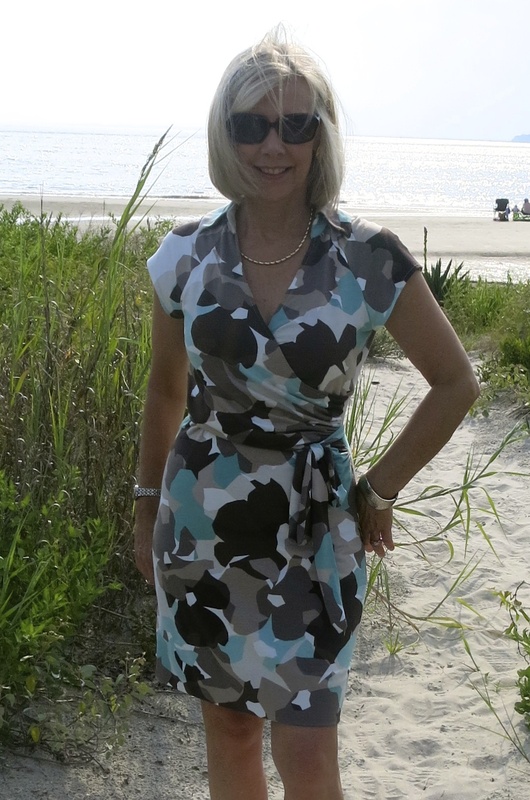 Continuing my January theme of simple sewing, I selected Butterick’s See & Sew 5873 one more time and made the dress in a day. While my first dress was a warm weather dress, sewn from Mood’s beach/camo jersey, this beefy knit should carry me through South Carolina’s winter if the Polar Vortex will leave us alone. The faux wrap dress is my solution to easy daytime dressing! A shapely design combined with no wrinkle fabric and a snappy houndstooth print has truly produced a go-to dress. Oops…….. I missed that step and ran the seam through the serger. Hate it when that happens, but obsessing about my unadorned sleeves is not an option and neither is re-doing the sleeves. During my years in music I learned how important it is to keep on going after a mistake…… the show must go on! Well, so must the sewing.